Home/Investigators and Research Centers/Investigators/Fabio Cruz, M.D. 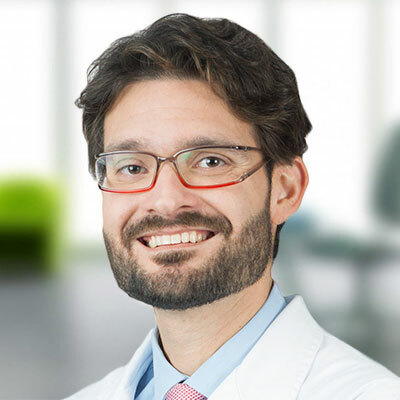 Dr. Fábio Cruz is an attending physician at IVI Valencia and a faculty for Master’s degree and Post-graduate courses at the University of Valencia. Dr. Cruz graduated from the Colégio Anchieta with focus in Biology and Physics, and received his medical degree from the Federal University of Bahia (UFBA), in Brasil. He then completed his residency training in Obstetrics and Gynecology at the Perinatology Institute of Bahia, where he was elected Chief Resident for two years. Dr. Cruz started his first Reproductive Endocrinology and Infertility fellowship training at the University of Säo Paulo (USP) and worked as Associate Professor at The Federal University of Bahia (UFBA). After moving to Spain, Dr. Cruz completed a Reproductive Medicine fellowship at the Instituto Valenciano de Infertilidad (IVI) in Valencia. He also obtained a Master’s degree in Human Reproduction, and completed a postgraduate course in Gynecological Endoscopic Surgery, both at University of Valencia. Dr. Fábio Cruz is a board member of the investigation committee at IVI. In the past ten years, he intensively participated in medical training, and has been often invited to speak nationally and internationally.